To further maximize our time at Philip & Henry Productions, we have set up a system where you, the magician, can bid on a particular show. Simply enter your Name, State, Date of show and of course, your Bid. Have a Magical Day! Lower Bids Means More Shows for You! You will be contacted within 48 hours if your bid has been accepted. Please remember only hand out the Philip & Henry business cards. 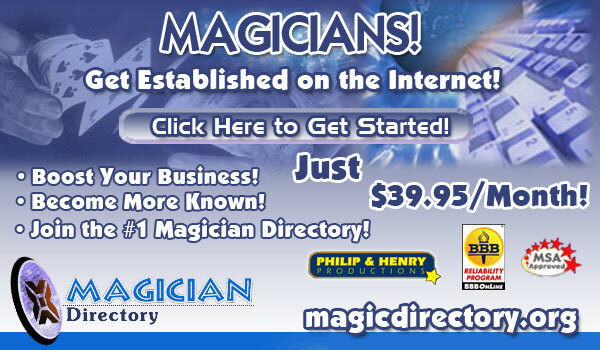 Magicians with more repeat business will have bids accepted at higher rates.